Classic Bollywood film poster of the blockbuster Hindi movie Dil To Pagal Hai (1997) for sale. 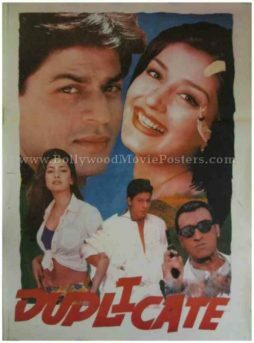 This is an actual surviving Shahrukh Khan poster of the 1997 Hindi movie Dil To Pagal Hai (DTPH) that featured the “King of Bollywood” along with Madhuri Dixit and Karisma Kapoor in lead roles. Akshay Kumar played a supporting role in the film. 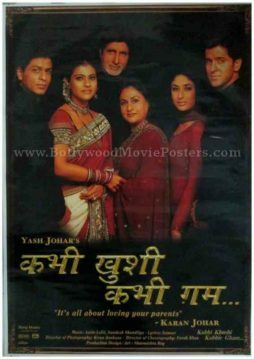 Produced and directed by the King of Bollywood romance Yash Chopra, Dil To Pagal Hai was a blockbuster hit that won three National Film Awards and eight Filmfare Awards, making this DTPH poster highly collectible! Printed and circulated a few years after the first release of the film, this Dil To Pagal Hai poster was originally designed for publicity of the film but never ended up being used. Superstar Shahrukh Khan is seen at the center of this Dil To Pagal Hai movie poster flanked by Madhuri Dixit and Karisma Kapoor on either side. The title of the film appears in interesting typography at the bottom of this Dil To Pagal Hai film poster. Dil To Pagal Hai was Shah Rukh Khan’s third collaboration with Yash Raj Films after two consecutive hits Darr (1993) and Dilwale Dulhania Le Jayenge (1995). Regarded as one of Yash Chopra’s finest films, Dil To Pagal Hai has attained cult status over the years. The soundtrack of the film became a rage throughout the nation. Songs from the film such as “Dil To Pagal Hai,” “Are Re Are Yeh Kya,” “Bholi Si Surat,” “Dholna,” “Pyar Kar” and “Koi Ladki Hai” sung by the legendary duo Lata Mangeshkar and Udit Narayan are played till today. Classic Bollywood movie poster of the hit Hindi film Ram Jaane (1995) for sale. 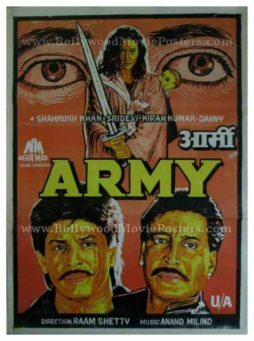 This is an actual surviving classic Bollywood film poster of the Hindi movie released in the year 1995 that featured the “King of Bollywood” superstar Shahrukh Khan in the lead role opposite Juhi Chawla. 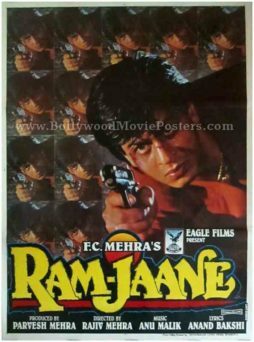 Ram Jaane is one among several films of the Bollywood Baadshah's career in which he played a negative role, making this Shahrukh Khan poster highly collectible! 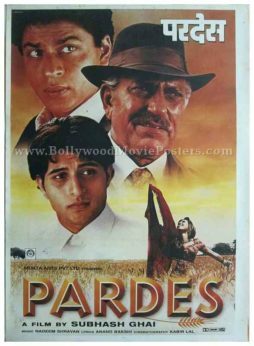 Printed and circulated during the original first release of the film (somewhere in the early 1990s), this Shahrukh Khan poster was originally designed for publicity of the film but never ended up being used. Ram Jaane won Shahrukh Khan the Screen Award for Best Actor. He is seen holding a pistol with his mirrored image appearing all across this stunning old Shahrukh Khan (SRK) poster for sale. Classic Bollywood movie poster of the Hindi film Baadshah (1999) for sale. 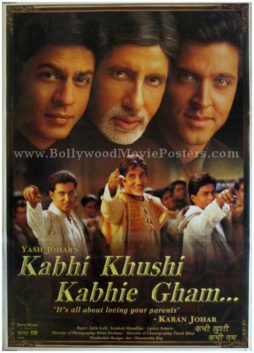 This is an actual surviving classic Bollywood film poster of the Hindi movie released in the year 1999 that featured the “King of Bollywood” superstar Shahrukh Khan in the lead role. 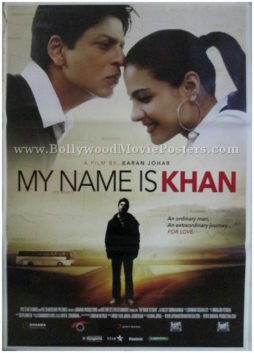 The success of the film earned Shahrukh Khan the moniker, the “Baadshah of Bollywood,” or the “King of Bollywood,” making this Shahrukh Khan poster highly collectible! 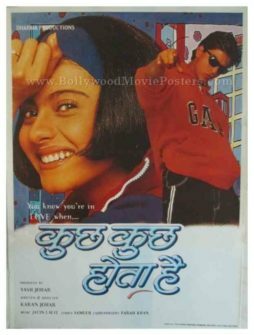 Printed and circulated a few months after the first release of the film (somewhere in the late 1990s / early 2000s), this Shahrukh Khan poster was originally designed for publicity of the film but never ended up being used. This old Shahrukh Khan poster features a stunning large photographic still of the superstar looking through a magnifying glass. A smaller still of Twinkle Khanna appears alongside. Songs from the film, particularly “Woh Ladki Jo Sabse Alag Hai” are fondly remembered till today. Classic Bollywood movie poster of the Hindi film Josh (2000) for sale. 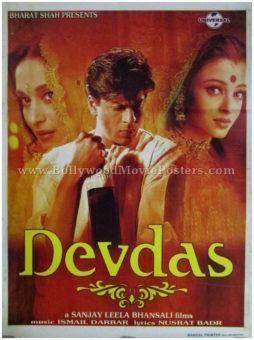 This is an actual surviving classic Bollywood film poster of the Hindi movie released in the year 2000 that featured the “King of Bollywood” superstar Shahrukh Khan and winner of the 1994 Miss World contest, Aishwarya Rai in lead roles. 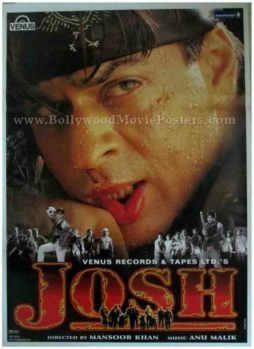 Josh is one among several films of the Bollywood Baadshah's career in which he played a negative role, making this Shahrukh Khan poster highly collectible! 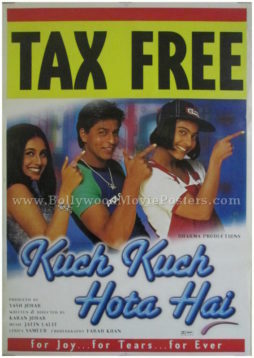 Printed and circulated during the original release of the film (somewhere in the late 1990s / early 2000s), this Shahrukh Khan poster was originally designed for publicity of the film but never ended up being used. Set in Goa, the film is remembered for its catchy soundtrack, mainly for the songs “Apun Bola,” “Sailaru Sailare,” and “Hai Mera Dil” which are fondly remembered and played till today. 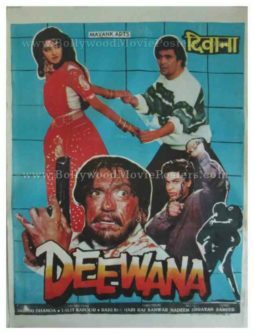 Classic bollywood movie poster of the blockbuster Hindi film Deewana (1992) for sale. 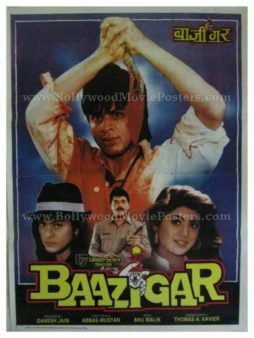 This is an actual surviving classic Bollywood film poster of the 1992 Hindi movie that featured the “King of Bollywood,” superstar Shahrukh Khan in his debut role opposite actress Divya Bharti. 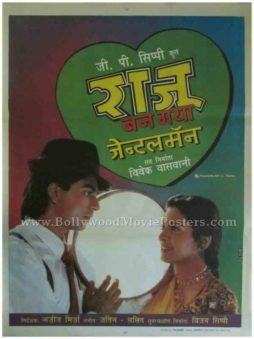 Deewana marked the debut of superstar Shahrukh Khan, making this old Shahrukh Khan poster, highly collectible! Printed and circulated somewhere in the early 1990s, this Shahrukh Khan poster was originally designed for publicity of the film but never ended up being used. Shahrukh Khan earned the Filmfare Best Male Debut Award for his performance in Deewana. The film bagged numerous awards for its music. Songs from the film such as “Koi Na Koi Chahiye” and “Sochenge Tumhe Pyar” are played till today.